Several recent papers have shown that both familial primary pulmonary hypertension (FPPH) and sporadic primary pulmonary hypertension (PPH) may have a common etiology that is associated with the inheritance and/or spontaneous development of germline mutations in the bone morphogenetic protein receptor (BMPR) type II gene. Because BMPR-II is a ubiquitously expressed receptor for a family of secreted growth factors known as the bone morphogenetic proteins (BMPs), these findings suggest that BMPs play an important role in the maintenance of normal pulmonary vascular physiology. In the present commentary we discuss the implications of these findings in the context of BMP receptor biology, and relate these data to the genetics and pulmonary pathophysiology of patients with PPH. The diagnosis of PPH is made in the presence of an increase in pulmonary vascular resistance associated with right ventricular failure in the absence of any other disease process. The etiology and primary cellular targets of this disease are unknown, although pathologic studies indicate that the disease is confined to the pulmonary vasculature. PPH is characterized by several well defined structural lesions: increased medial and adventitial thickness, appearance of muscle in smaller and more peripheral arteries than normal, reduction in number of peripheral arteries, eccentric and concentric intimal thickening, and plexiform lesions. The disease is most commonly sporadic, but may also be associated with an autosomal-dominant mode of inheritance (FPPH) in 6% of patients . Both forms of the disease have an identical phenotype, and exhibit preponderance in females of childbearing age. FPPH families also show a pattern of incomplete penetrance, in which only 10–20% of family members actually develop overt disease. This has implications for our understanding of the genetic and environmental modifiers of disease expression in this condition, and has also added to the complexity of genetic mapping of affected kindreds. Several recent papers presented the cumulative results of a 15-year, genome wide search for an inherited locus in this disease. They demonstrate that both FPPH and sporadic PPH may have a common etiology that is associated with the inheritance and/or spontaneous development of germline mutations in the BMPR-II gene [2,3,4,5], which was initially mapped to a single locus on chromosome 2q31-32 . Those reports describe heterozygous germline mutations in the BMPR-II gene in FPPH [2,4,5], and in a significant proportion of patients with apparently sporadic disease [3,4]. These findings indicate that mutations in the open reading frame of the BMPR-II gene can be identified in approximately 60% of FPPH families, and in 25% of patients with no family history of overt disease. The greater frequency of sporadic as compared with familial inherited disease suggests that this genetic mechanism is a relatively common finding in both forms of the disease, and further suggests that BMPR-II signaling plays a critical role in the maintenance of normal pulmonary vascular physiology. The findings also raise a series of previously unpredicted questions regarding the biology of this gene product, and how mutations at this locus give rise to the distinctive pulmonary vascular phenotype that is seen in patients with PPH. In the present commentary we focus principally on the significance of these findings in the context of our current understanding of BMP receptor biology, and relate the data to our knowledge of inheritance patterns and disease pathophysiology of PPH. BMPR-II is a ubiquitously expressed receptor for a family of secreted growth factors termed BMPs. These proteins are part of the transforming growth factor (TGF)-β superfamily, which includes the three mammalian TGF-β isoforms, the activins and inhibins, and over 30 members of the BMP subfamily [7,8]. Unlike the mammalian TGF-β isoforms, BMPs are secreted in an active form and, under normal physiologic conditions, are regulated through reversible interactions with extracellular antagonists, including noggin, chordin, and DAN . These interactions determine the bioavailability of different BMPs for binding to their cognate receptors and activation of downstream responses. BMPs themselves are further classified into several subgroups on the basis of sequence similarities and homology to common ancestral orthologs in fruit flies. These include BMP-2 and BMP-4, which are most closely related to the Drosophila gene product decapentaplegic; and BMP-5, BMP-6 and BMP-7, which are related to Drosophila 60A. Originally identified as molecules that induce ectopic bone and cartilage formation when implanted subcutaneously in rats , it is now known that BMPs are also critical regulators of mammalian development . For example, in the lung BMP-4 and BMP-7 colocalize in the developing lung buds, and targeted misexpression of BMP-4  indicates that it plays a critical role in embryonic lung morphogenesis. In contrast, little is known about the functional properties of these proteins in the adult. Members of the TGF-β superfamily interact with two classes of transmembrane receptor serine-threonine kinases, termed type I and type II receptors [7,8]. The type II receptors have constitutively active cytoplasmic kinase domains, but are unable to activate downstream signals in the absence of a type I receptor. In the case of BMPs this involves the co-operative interaction between the ligands, the type II receptors, BMPR-II, activin receptor (ActR)-II or ActR-IIB, and the type I receptors TSk7L/activin receptor-like kinase (Alk)2, BMPR-IA/Alk3 or BMPR-IB/Alk6. Whereas the expression pattern of these receptors has not been mapped in detail, it is known that BMPR-II is widely expressed in both developing and adult mammalian tissues [13,14]. Binding between the BMPs and the receptor complex is determined both by the ligand-receptor binding affinities and the local cell surface receptor expression levels of their cognate receptors. For example, BMP-2, BMP-4 and BMP-7 interact with and activate BMPR-IA/Alk3 and BMPR-IB/Alk6 type I receptors, but only BMP-7 activates signaling downstream of TSk7L/Alk2. The biology of this system is further complicated by interaction of other TGF-β family members with some of the same receptors as for the BMPs. For example, activin has the capacity to activate ActR-II- and ActR-IIB-dependent signaling, but unlike BMP-2, BMP-4 and BMP-7 it only activates downstream signaling through the type I receptor ActR-IB/Alk4 . The physiologic significance of this combinatorial system of receptor usage is poorly understood, but provides the potential for marked plasticity in the regulation of downstream responses. This effect is further amplified because a variety of downstream signaling pathways are activated in a cell specific manner following engagement of the type I and II receptors by BMPs. This includes not only activation of the canonical Smad signaling pathway [7,8], but also cell-type-dependent activation of other signaling pathways, including TGF-β activated kinase 1 mediated p38 mitogen activated protein kinase [16,17] and protein kinase A . In addition, at a transcriptional level, different inputs converge on a common regulatory mechanism to define specific transcriptional responses. In the case of Smad, this involves a complex interdependent interaction between the BMP receptor activated Smads (Smad-1, Smad-5 and Smad-8, the common-mediator Smad, Smad-4) and a range of DNA binding transcription factors and cofactors that are required to initiate a given transcriptional response . These various signaling pathways are likely to provide an environment that enables cellular diversity in response to a given set of ligand-receptor interactions. Elucidation of these signals is fundamental to our understanding of why mutations in a ubiquitously expressed receptor give rise to a highly restricted pattern of disease pathology in patients with PPH. To date, 46 different germline mutations in the BMPR-II gene have been described in both FPPH and sporadic PPH [2,3,4,5]. These span the entire open reading frame of the BMPR-II gene, with the exception of exons 5, 10 and 13. The mutations include mis-sense and frameshift mutations. The extent and heterogeneity of the BMPR-II mutations identified thus far suggest that they are associated with loss of expression and/or inactivation of the mutated allelic products. However, no clear indication of how these mutations give rise to PPH is readily apparent. Theoretically, these mutations could be associated with any or a combination of the following: simple haploid insufficiency resulting from the lack of BMPR-II protein expression or function; haploid insufficiency associated with a secondary somatic mutational or regulatory event that affects the remaining BMPR-II allele; and a more severe disturbance in BMP signaling that results from dominant-negative effects of the mutant receptor on BMPR-II signaling. Loss-of-function mutations may result from defects in RNA stability or protein processing associated with any mis-sense or premature protein truncation mutations [20,21]. Alternatively, a number of the BMPR-II mutations, particularly the kinase domain truncations, could give rise to dominant-negative receptors. Functional studies [22,23,24] have shown that truncations and point mutations in the kinase domain of BMPR-II, similar to those observed in the FPPH families, exert dominant-negative effects on BMP signaling. It is of fundamental importance to define the functional properties of these mutations, because they could have a direct impact on severity of disease in affected families. Furthermore, if the pulmonary phenotype in PPH is critically dependent on expression of both BMPR-II alleles, then this raises the possibility that additional germline mutations occur in regulatory elements from BMPR-II promotor in the FPPH families with no identified mutation in the BMPR-II open reading frame. Independent genetic and/or environmental effects are likely to modify the cellular responses to the germline mutations, and may be critical for the expression of PPH. The relatively low disease penetrance of FPPH suggests that its development probably requires additional environmental and/or genetic events. Characterization of some of the extended kindreds that harbor single BMPR-II mutations  may facilitate identification of these additional genetic or dominant environmental triggers. Another feature of FPPH that may provide insight into these modifier effects is the phenomenon of genetic anticipation . This genetic phenomenon has been described in other inherited diseases including Huntington's chorea , and is associated with the progressive accumulation of trinucleotide repeats at selected loci in the genome. Although there is currently no evidence for trinucleotide repeats at the BMPR-II locus in FPPH, it is possible that an alternative locus is affected by this phenomenon. At present, we can only speculate about possible modifier effects of different environmental and/or genetic influences in patients with PPH, and the functional properties of different germline mutations. The key question of how mutations of this ubiquitously expressed receptor predispose individuals to develop isolated pulmonary vascular disease remains mysterious and difficult to study. Homozygous deletion of the BMPR-II gene in vivo is associated with early embryonic lethality . Furthermore, by the time patients with PPH are symptomatic, the structural changes of the disease are well developed, leaving us with little clue as to which cell types form the primary focus of vascular change in preclinical disease. The arterial remodeling involves hypertrophy and proliferation of endothelial, smooth muscle and intimal cells, as well as fibroblasts, but how defects in BMPR-II contribute to these changes is not known. However, BMP-2 has been shown to inhibit growth of cultured aortic vascular smooth muscle cells [29,30], indicating they have intact BMP signaling pathways, and that defects in BMP signaling might predispose them to proliferate in an uncontrolled manner under certain environmental conditions. 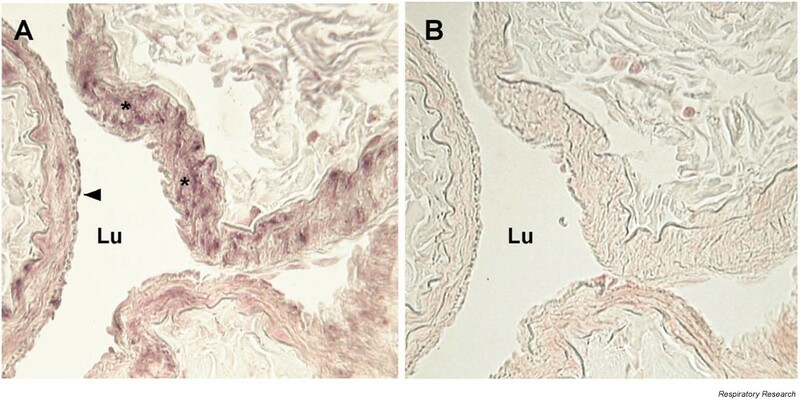 Other structural studies indicate that the plexiform lesions of PPH are composed of monoclonal foci of proliferating endothelial cells , and microdissection of endothelial cells from these lesions resulted in microsatellite genomic instability , which may give rise to spontaneous somatic mutations. In the context of PPH, this might result in the loss of the remaining BMPR-II allele in the affected pulmonary vasculature, giving rise to a more complete defect in BMP receptor signaling. However, although plexiform lesions are often considered pathognomonic of PPH, they do not occur in all cases . This indicates that they are unlikely to represent the single common cellular pathway of tissue injury in these patients. Identification of germline BMPR-II gene mutations in patients with FPPH and sporadic PPH has provided us with an essential clue that will assist us in dissecting the disease mechanisms and in determining which cell types initiate and contribute to vascular remodeling in this disease. Target cells probably express a program of BMP receptors, ligands, and downstream signaling machinery that make them uniquely susceptible to functional defects in BMPR-II. For example, we have shown that BMPR-II protein is expressed in human pulmonary artery smooth muscle cells and in some endothelial cells (Fig. 1). Comparative analysis of components of the BMP signaling pathway in different vascular beds will probably lead to a better understanding of the unique properties of the pulmonary vasculature, and facilitate the development of selective animal models of BMPR-II dependent pulmonary vascular injury. (A) Immunocytochemical localization of BMPR-II in the wall of a muscular pulmonary artery from control human lung. Localization (dark blue product, BCIP/NBT) is seen in the smooth muscle cells (*) and occasional endothelial cells (arrowhead). (B) Control showing the same region of artery, but without addition of antibody. Lu, lumen of artery.